Hey everyone, I’m JNash, community manager for Realm Royale over at Heroic Leap Games. It’s my great pleasure to announce that Realm Royale is moving into Open Beta on January 22! This means that Realm Royale will now be free to play for all PlayStation players. It’s been so exciting seeing how well Realm Royale has been received on PS4, so we are very excited to open the game up to a larger audience today. 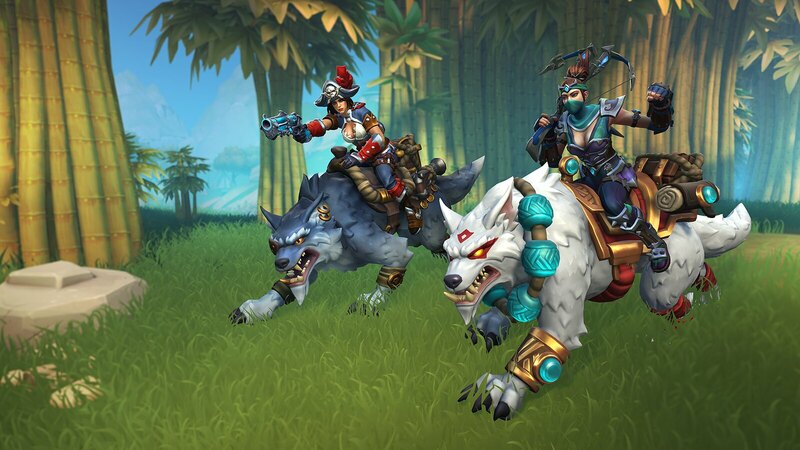 For those of you who aren’t familiar with our game, Realm Royale is a fantasy-themed battle royale which allows you to choose a class and then loot, or craft, weapons and abilities during the course of a match to customize your champion to fit your playstyle. Players can mount on their trusty steeds for faster travel around the map and can queue in solo, duo, or squad modes. Many of you have already played Realm Royale in our Closed Beta, and we’ve gotten a lot of great feedback on the game over the past few months. If you’re a new player who didn’t get a chance to play during our Closed Beta, we’d like to welcome you to play Realm Royale today to experience all that Realm Royale has to offer and to help us continue to refine and improve the game in the future. Our Open Beta release also sees some exciting new features and updates for Realm Royale. We’re adding a new mastery system that will allow players to unlock new talents for each class, offering further customization of your character to match your preferences and playstyles. The more you play with a class, the more talents you’ll unlock for that class, giving you even more options to personalize your gameplay experience. We’re also adding in two new weapons — the Assault Rifle and the SMG — to the game. Look out for these weapons when looting chests, or craft them at the forge! We’re also launching our second Battle Pass along with our Open Beta. 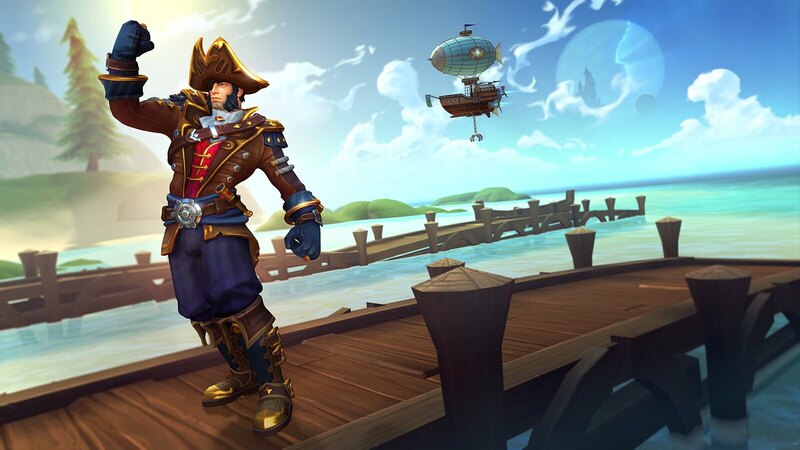 Titled “Steel and Shadow,” this Battle Pass allows players to earn 80 levels of rewards themed around ninjas and pirates. What’s more, we’re offering this Battle Pass free to all PlayStation Plus members. Do we hope that you’ll use the cosmetics offered in this Battle Pass to show your support in the age-old debate: Pirates, or Ninjas? Whether you’re a returning player who played in our Closed Beta or a new player who will be jumping into the Open Beta for the first time, we welcome you, and we’ll see you in the Realm!